Route 9 North, next to the Napa Auto Parts store and near Stafford Veterinary hospital. 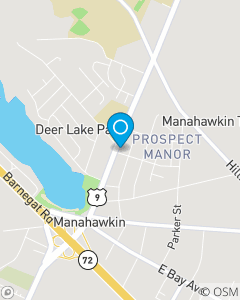 Serving the auto insurance and homeowner insurance needs of the greater Manahawkin and Ocean County area since 2006. Providing quality insurance services while recognizing the customer needs for auto, home, life, business insurance and financial products. Our team strives to provide quality and friendly customer service. Stop in and see our office and team for a FREE insurance quote!